The targeting of centers and facilities for the production and maintenance of the deadly chemical weapons of the brutal Syrian dictator and the dismantling of the war machine of this regime is an indispensable step to end the Syrian tragedy, which, for seven years, has killed more than 500,000 people among them children , women and The innocent and defenseless people and also displaced half of the Syrian population, and its scope has gone well beyond the borders of this country. This action, which has been demanded by Syrian people and freedom lovers of this country and other countries in the region, must be completed by expelling the anti-human clerical regime and its Revolutionary Gurards and mercenaries from Syria, Yemen, Iraq and other countries of the region. Iranian regime is the leading element of survival of Bashar al-Assad and the main source of terrorism and extremism and warmongering in the Middle East and the vast parts of the world. The policy of appeasement with the ruling religious fascism in Iran has led the regime to unprecedentedly increase its crime against humanity and war crimes without paying any price at all. It is time to put an end to appeasement and neglect against these crimes, which are flagrant violations of internationally recognized rules and standards. God intervention in Jesus name amen! Iranian regime is engulfed with Major concerns over the Revolutionary Guards’ (IRGC) terrorist designation and the implementation of new U.S. sanctions, known as CAATSA, as it appears in the remarks resorted by its senior officials. “Based on the policies instructed by the leader, our missile ranges are 2,000 kilometers… This is enough for now,” said IRGC chief Mohammad Ali Jafar on October 31st, signaling a step back considering the seriousness of these sanctions. The Iranian Resistance welcomes sanctions by the US Treasury Department against a number of Islamic Revolutionary Guards Corps (IRGC) commanders and affiliates, engaged in suppressing and plundering the Iranian people as well as export of terrorism and proliferation of ballistic missiles. 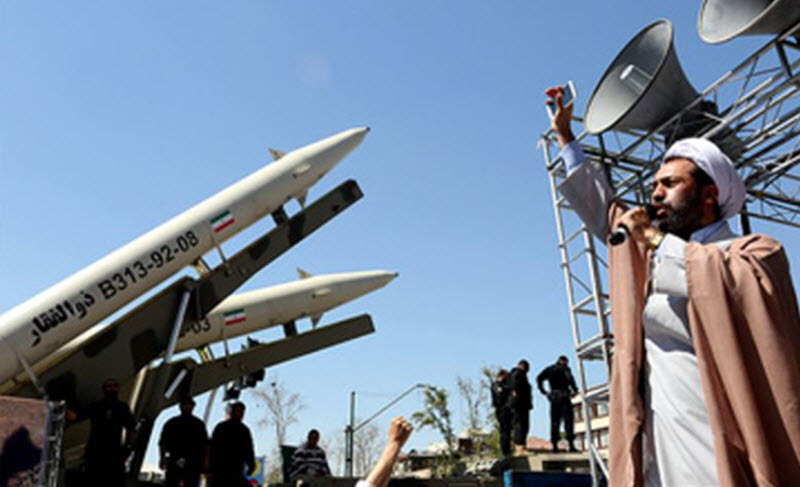 The Iranian Resistance views this as a necessary step in dealing with the clerical regime’s suppressive, belligerent, and terrorist policies and proliferation of ballistic missiles that endanger the peace and tranquility in the region. These sanctions should be quickly extended to all the individuals, entities, institutions, and companies affiliated or dealing with the IRGC, as well as to the IRGC’s foreign mercenaries. It is even more imperative that sanctions be imposed on IRGC commanders stationed in 31 provinces throughout Iran, who are responsible for suppressing the population. 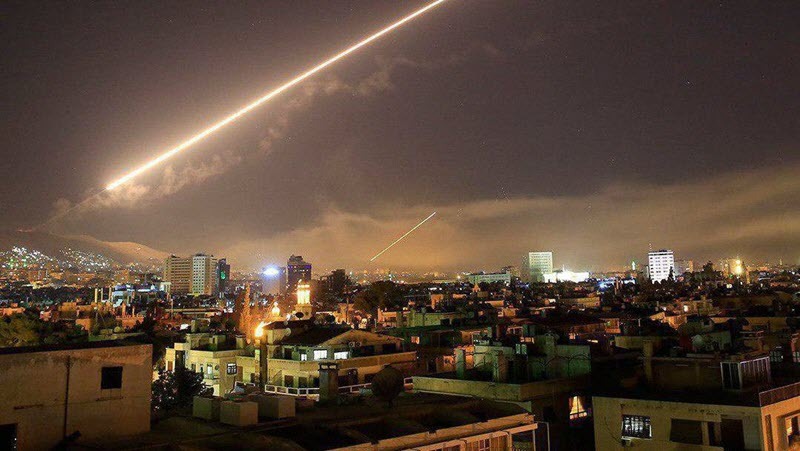 Implementing the law passed by the US Congress regarding sanctions on the IRGC, as well as designating IRGC as a terrorist entity, require adopting measures to expel the IRGC from the region, specifically Syria and Iraq,. These measures are prerequisite to ending the war and bloodshed and establishing peace in the region. The Iranian Resistance calls on the European Union to join in sanctioning the IRGC. A major part of the Iranian economy is controlled by the IRGC, and therefore deals with the IRGC are tantamount to fueling its belligerence, its terror and suppression machine, the expansion of its nuclear weapons program and the proliferation of ballistic missiles. The book details how Islamic Revolutionary Guards Corps trains foreign fighters in 15 various camps in Iran to export terrorism. The IRGC has created a large directorate within its extraterritorial arm, the Quds Force, in order to expand its training of foreign mercenaries as part of the strategy to step up its meddling abroad in Syria, Iraq, Yemen, Bahrain, Afghanistan and elsewhere. This book explains the kind of training is provided in each camp, who the trainers are, where they are dispatched to, as well as satellite imagery of the locations of these camps all over the country. This short, stunning video shows how Iran has been training foreign terrorists in Iran and dispatching them across the globe; and it is doing it to date. Iran has caused the rise of ISIS, and remains the single most active state-sponsor of terrorism in the world. The Annual report on terrorism by the United States Government has referred to Iran as the world’s foremost state sponsor of terrorism in 2016. The United States says that Iran also employs foreign nationals. But how does Iran recruit? And how does Iran train its pawns to carry out its operations? Iran’s Islamic Revolutionary Guards Corps, the IRGC, has its own extraterritorial arm, known as the Quds force, which is involved in military and terrorist interference in several countries in the Middle East and around the globe. 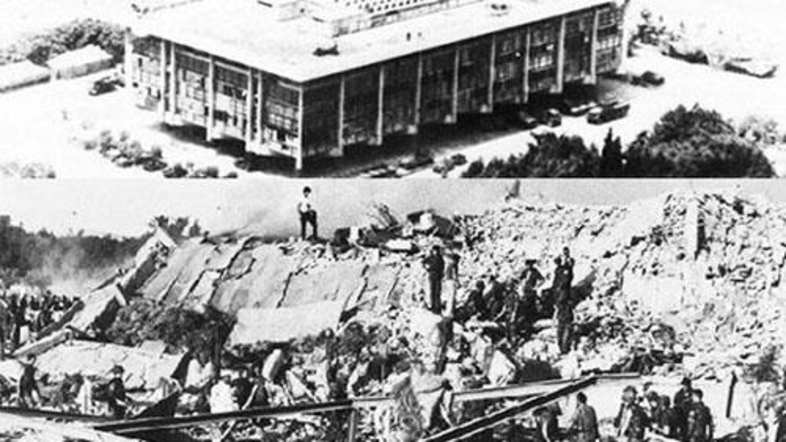 The IRGC was established to preserve the regime’s dictatorship, which rests on suppression within Iran; the export of terrorism beyond Iran’s borders; and the Iranian program to manufacture a nuclear bomb. The IRGC actively organizes terrorist networks and conducts terrorist operations throughout the world. Sources of Iran’s opposition coalition, the National Council of Resistance of Iran, have discovered ironclad evidence of at least 15 terrorist training camps spread across the nation, including 8 centered around Tehran Terrorist units of the Quds Force are trained in secret units for dispatch to various countries in the Persian Gulf, Asia, Africa, and even Latin America. Forces initially undergo a body-building boot camp for one week. 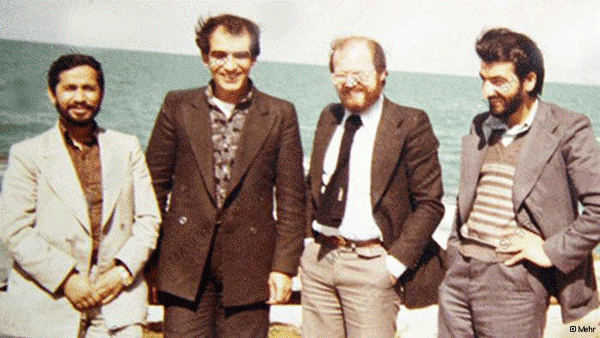 IRGC mercenaries are then sent to theoretical courses, promoting fundamentalism and terrorism. They are subsequently sent to other training centers for practical training. Of the 15 training camps spread across Iran, certain garrisons specialize in specific terrorist training, including urban warfare, guerilla training, driving courses and various vehicle maneuvering instruction. Trainees also undergo courses in wilderness survival and even in advanced missile training. Through the Quds force, the IRGC looks to take advantage of instability wherever it can. After training recruits in both Islamic fundamentalism and in combat techniques, trainees are sent abroad to meddle in foreign conflicts. In Yemen, Iran continues to back the Houthi rebels, increasing instability in the Arabian Peninsula. In Syria, IRGC mercenaries continue to fight the Free Syrian Army, propping up Assad’s murderous regime; while at the same time, allowing ISIS to fester. 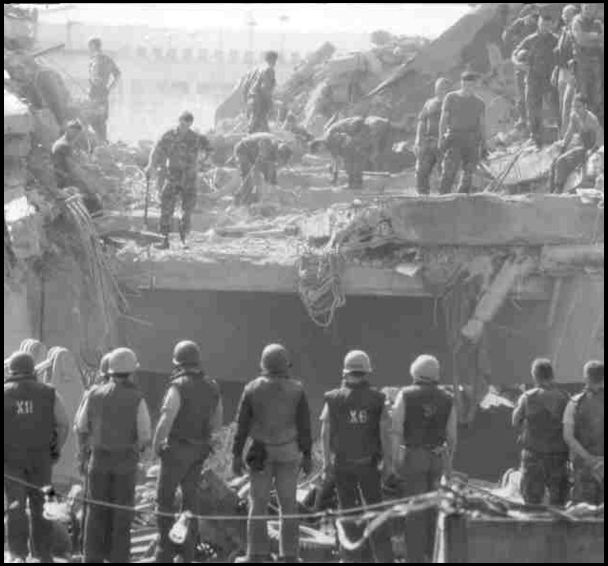 And in Iraq, the IRGC plants terrorists and bomb makers within the domestic unrest of the nation, which has led to the deaths of hundreds of American soldiers abroad, as well as tens of thousands of innocent Iraqis. IRGC is the main source of sectarian violence in Iraq, which has led to the rise of ISIS. The IRGC even devised a terrorist scheme within U.S. borders, when in 2011, IRGC terrorists plotted to blow up a Washington, DC restaurant. The United States needs to view the IRGC as a terrorist enemy and not an ally under any circumstances. It is time for the U.S. Government to subject, not just the IRGC, but all its affiliate entities in Iran who dominate the economy and the financial market as well as all its proxies in the region to terrorism-related sanctions. The IRGC must be expelled from Syria, Iraq, Yemen, and Lebanon as a first step to securing peace and stability in the region. Illuminati! Setting up shop in every nation. Thanks for the publicizing post! You’re welcome my friend, this is my interest duty, I’m trying to show to the world about terrorism from Iran regime and It’s IRGC terrorist corp. I greatly appreciate your share. The world must know that governments within iran and everywhere are conspiring against its own people.😟 Thanks again!! Thanks, Good luck and God bless you.